Wolfmother have issued an official statement confirming the immediate departure of bassist Chris Ross and drummer Myles Heskett. 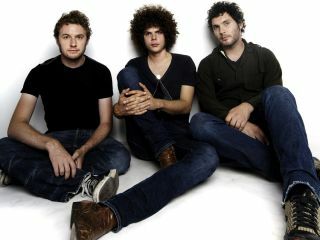 Singer/guitarist Andrew Stockdale plans to recruit new musicians and continue using the Wolfmother name. Yesterday we reported that the future for the Australian retro rockers looked uncertain after a tense and uncommunicative performance at the Splendour In The Grass festival in Byron Bay in New South Wales on Sunday 3 August. "Grammy Award winning rock band Wolfmother has announced the resignation of bass/keyboard player Chris Ross and drummer Myles Heskett effective immediately. Singer/guitarist Andrew Stockdale now plans to find other musicians over coming months and to then begin making a new Wolfmother album. "Irreconcilable personal and musical differences"
"Wolfmother toured the world virtually non-stop through 2006 and early 2007 on the back of their acclaimed self titled debut album. Longstanding frictions within the group then lead them to take an extended break during the second half of 2007 to consider their future. "In early 2008 they regrouped and worked on new material. Initially encouraged by those sessions, they committed to a handful of live shows to 'road test' the new songs and to try to find a way forward. Those dates concluded with a headlining slot last Sunday at the Splendour In The Grass Festival in Australia's Byron Bay where rumours circulated about possible lineup changes. "Following that show Chris Ross decided to announce that he was leaving the band due to irreconcilable personal and musical differences. Myles Heskett has also decided to leave the band rather than continuing as part of a changed lineup. The pair has been working together on songs for some time and they plan to focus their energies on that new project in the future. "Andrew Stockdale, Myles Heskett and Chris Ross will make no public statements at this time except to say that they are each really looking forward to making their new music over the years ahead. "In the meantime they simply ask all Wolfmother fans to please understand that in spite of their best efforts over a long period of time, they just could not find a harmonious way to work together and that has lead to the decisions announced today." It's a sad day for fans. Check out this live video filmed in a more harmonious period of the band's career.